Shelters save animals, right? Unfortunately, the answer to that question is a little more complicated than many people think. While animal shelters are a better alternative for dogs and cats than simply abandoning them on the streets it doesn’t always mean they are safe. In fact, the unfortunate reality is that in many cases it can just put the animal against a ticking clock. Shelters have limited space and they can’t save every animal, which means that many shelters will only be able to hold an animal for a short amount of time. 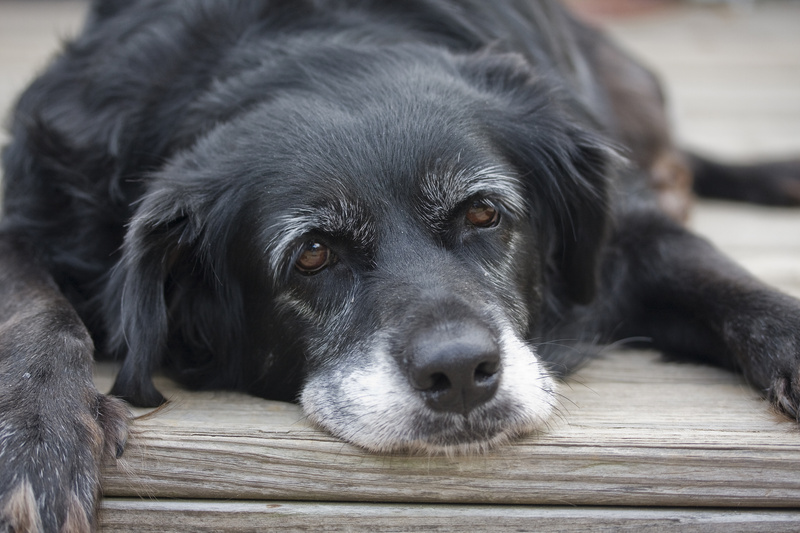 Why Are Elderly Dogs At Risk? Elderly dogs are one of the most at risk groups in shelters and they can be given to shelters for a variety of reasons and this might not sound like a problem. Unfortunately, many people incorrectly believe animal shelters are permanent homes for animals, but they aren’t! Shelters are designed for adoptable pets and the sad reality is elderly dogs are much less likely to be adopted. Many people go to animal shelters to adopt pets, but the majority of people will be looking for a younger animal. The average family looking for their first pet isn’t usually going to want to adopt an elderly dog. Elderly dogs will have shorter lifespans and could already have existing health conditions which will make them less likely to be adopted. Now you might be thinking what about no kill shelters, don’t they solve this problem? While no kill shelters do save animals and won’t euthanize them, they face similar problems to regular animal shelters, namely they have limited space available. It is possible you’ll not see many elderly dogs in a no kill shelter either. Some of these shelters may have their hands tied as they prioritise the ‘adoptability’ of the animals they will take, and can play a factor. No kill shelters, therefore, may be unable to provide a complete solution to this problem. At Pet Pardon we are working to save all animals and help promote the adoption of all animals in spite of age. How You Can Help Save Animals From Being Left Behind! The misconceptions about animal shelters mean many elderly dogs are sadly being euthanized when there are people out there who would happily adopt them! At Pet Pardon we are fighting to make sure this doesn’t continue. If you want to save a pet from an animal shelter then why not consider an elderly dog? While adopting an elderly dog does come with its challenges there are also many benefits, they are gentler pets, usually already trained to some degree and are already going to be instant companions! There is also a chance that they have grown up around other pets – so that will minimise any potential conflict with pets you already own. Best of all adopting an elderly dog from a shelter will save its life! So, what better reason could there be than to save a pet? No kill shelters are great, but with their hands tied to one degree or another, we at Pet Pardon don’t mind taking up the fight. If you can’t adopt a pet right now but still want to help save elderly dogs and other animals in shelters – great news! You can by supporting our efforts at Pet Pardon Simple things like sharing our posts on social media will help spread our message and why not consider joining our Crowdfunder campaign? Remember you don’t have to be a pet owner to help save one’s life!